Over the past six months London Coffee Machines Ltd. have been producing a range of animated cleaning guides for use with your office coffee machine. 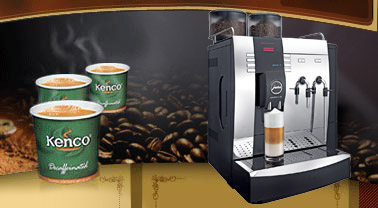 To date the Kenco Singles machine, Lavazza Easy machine, Korinto bean to cup coffee machine and Krea bean to cup coffee machine have all been covered. These guides are exceptionally high quality and should be an invaluable tool if you have forgotten how to clean your machine or perhaps misplaced the manual. This is not designed to replace the already exceptional customer support that is available but to add to it. We currently have a number of bean to cup coffee machines suitable for an office environment available on free loan deals meaning that you pay only for the drinks that you use. We have a range of equipment available on this deal including the Kobalto, Korinto, Koro and Esprecious machines. For more information about this please call the office on 0845 061 1122. We are delighted to be able to offer a free case of Carte Noire coffee beans with every bean to cup coffee machine that we deliver before the end of 2014. This great deal gives you the chance to try out the luxurious taste of continental style Carte Noire coffee free of charge! If you are looking for an office coffee machine why not try one of our bean to cup machines such as the Krea or Jura GIGA. These stylish dispensers will give you coffee shop quality cappuccinos and lattes in your office at a fraction of the cost of a Starbucks or Costa. For more information about our range of equipment or the various whole coffee beans available give us a call on 0845 061 1122. We are delighted to announce that we are now holding stock of in cup Cadbury chocolate in the 76mm paper cup format. This product will be compatible with all Kenco In Cup machines including the Connections, Network and K Bar. The other good news is that it is the same price as the existing In Cup Suchard hot chocolate. For more information about ordering this product please call us on 0845 061 1122. We have long been promised the launch of Cadbury drinking chocolate in the Kenco Singles range and it now looks as if it will finally happen. We should have stock of this exciting new product within the next two months. 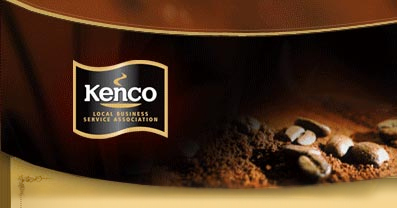 As if that isn’t enough we were pleasantly surprised to find out that there are also plans afoot to launch it into the Kenco In Cup range of drinks. We would hope to have stock within three months of this. In the case of both products it will be the new Cadbury One product that is used and there will be more chocolate per serving than is currently the case in the Suchard chocolate drink in both ranges. At the moment we have no information regarding the price of these two developments but if you do need further information please give the office a call on 0845 061 1122.